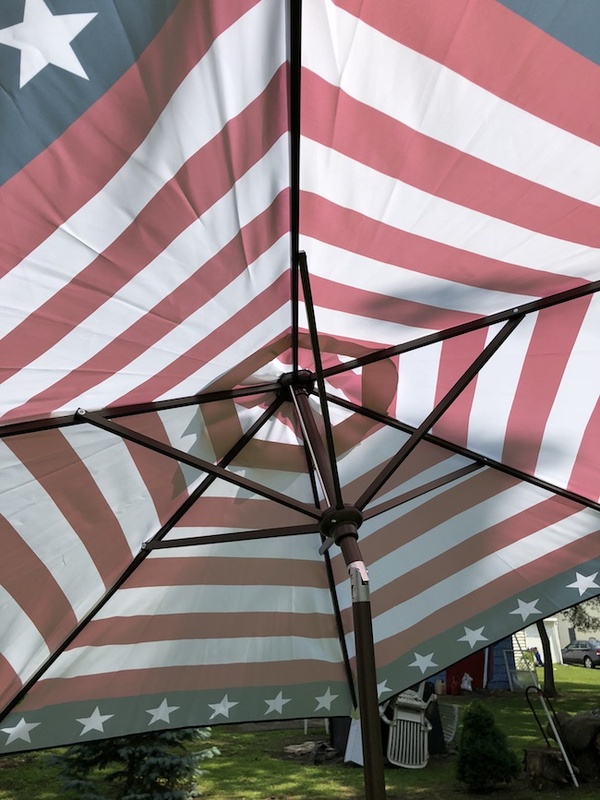 I received the Striped Outdoor Patio Umbrella in order to facilitate my review. All opinions are my own and may differ from yours. 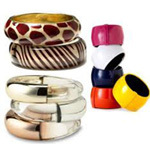 Just Plum Crazy only recommends products that we use and feel meet or exceed our expectations. We just got done reviewing the Pop Up Instant Patio Canopy but it’s nice to also have an Outdoor Patio Umbrella also. Sure you can put your table under the canopy but then there isn’t really anyplace to sit and eat. A picnic table would take up most of the room under the canopy so I like to keep them separate. 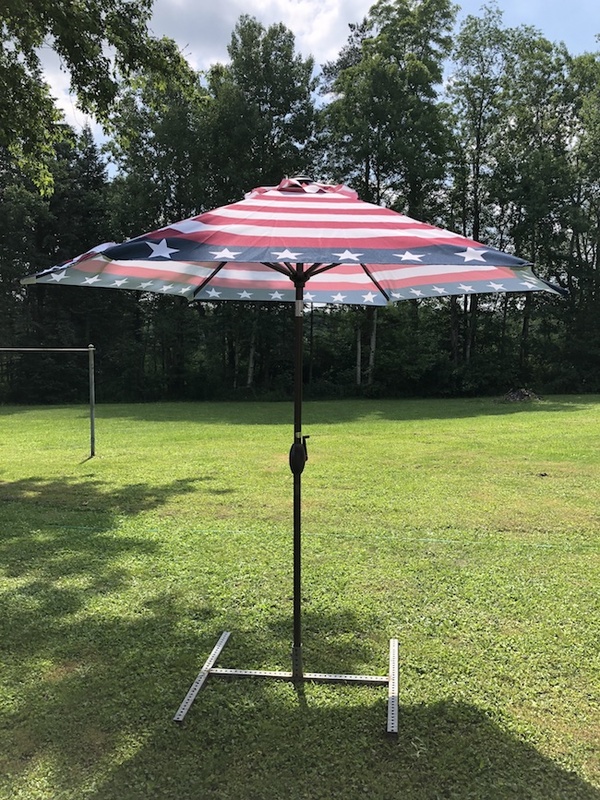 The Outdoor Patio Umbrella made by Abba Patio and is 9 feet in diameter where you can fit your 42 – 54 inch table under with 4 to 6 chairs or over two lounge chairs side by side. Made of 100% Post-Consumer Recycled Polyester fabric it’s also water repellant, fade resistant and offers UV protection. 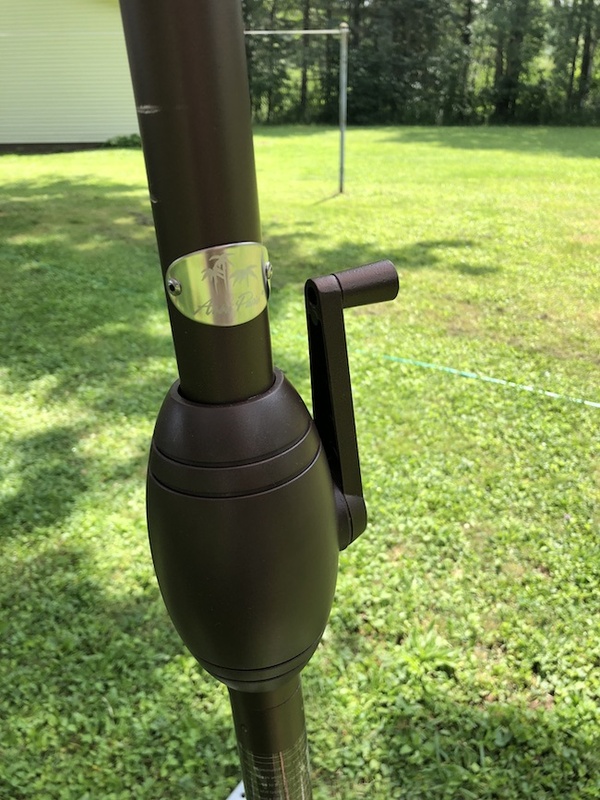 Made with a powder coated aluminum pole, it’s also rust free 1 and 1/2 inch pole which is bigger than most. It has a crank mechanism which makes it easy to open and close it when needed with a press and push button for tilt. The canopy is vented for air flow which allows the heat to escape. Steel ribs support the canopy so it won’t collapse on windy days. 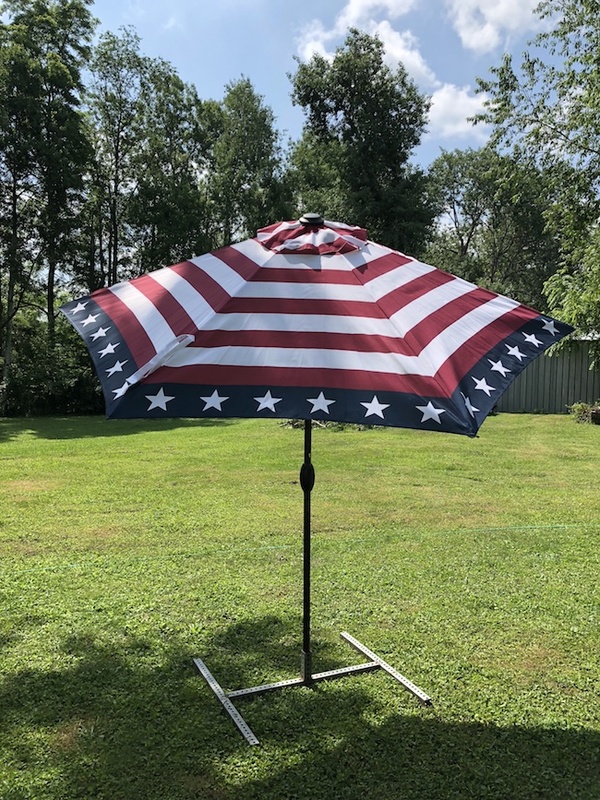 The Outdoor Patio Umbrella is great for the patio, beach, park, camping or sports activity. It will keep you cool and out of the sun no matter where you are. It stays closed with a velcro strap closure. Weighing in at only 16 lbs, it’s easy to carry and store. 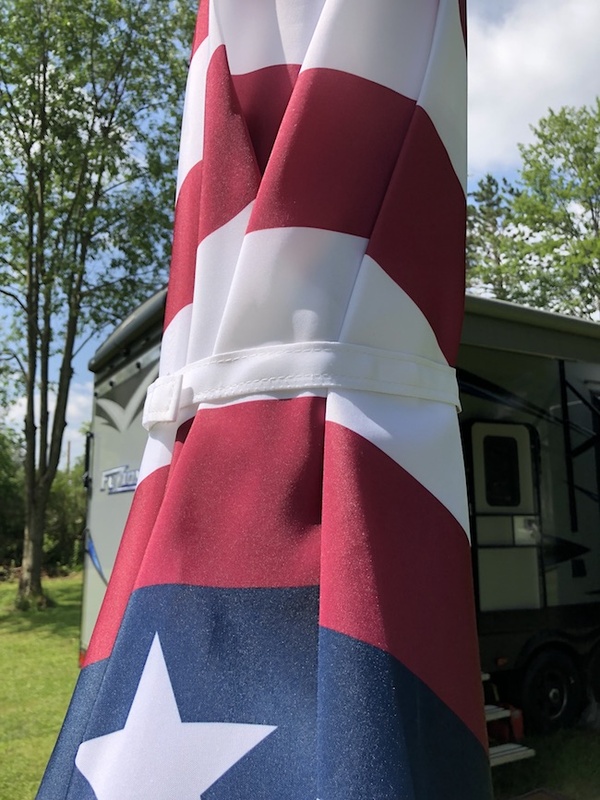 Available on Amazon.com and is available in six different colors, green, beige, red, blue stripe, turquoise and striped flag. It does not come with a base but you can find that on Amazon as well. Get in 2 days with Amazon Prime where you can a free 30 trial.